Bitte beachten Sie: Die Arbeitsgruppe verlässt das KIT im Herbst 2017. Weitere Veranstaltungen werden nicht mehr angeboten. Fragen Sie bitte per E-Mail bei Henning Meyerhenke nach, ob aktuell Hiwi-Stellen zu vergeben sind! Bitte wenden Sie sich bei Interesse an den jeweiligen Betreuer! Dort erhalten Sie weitere Informationen. Unsere Themen sind als Abschlussarbeit bewusst praktisch formuliert. Auf Wunsch schneidern wir den Fokus aber auch sehr gerne theoretischer zu! Spanning trees of graphs are a fundamental concept in algorithmics. In a connected graph G, each spanning tree of G can be seen as a “backbone” of G that ensures connectedness. Within the vast area of graph algorithms, spanning trees have many applications – and these applications may require different classes of spanning trees. One such class is comprised of so-called low-stretch spanning trees. This has not only applications in shortest paths but also in many other areas such as linear systems and network centrality measures. When working on this thesis, you have the chance to participate in a current research project performed in collaboration with . Drawing large graphs appropriately is an important step for the visual analysis of data from real-world networks and other applications. Recently, we presented a novel multilevel algorithm to compute a graph layout with respect to the maxent-stress metric proposed by Gansner et al. (2013) that combines layout stress and entropy. 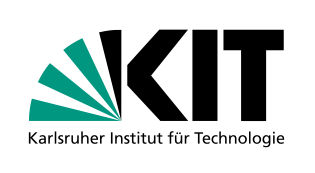 When working on this thesis, you have the chance to participate in a current research project performed in collaboration with ITI, Algorithmik II. Patrick Bisenius: Computing Top-k Closeness Centrality in Fully-dynamic Graphs. Masterarbeit, Mai 2017. Christoph Hess: Neue Algorithmen für approximative Netzwerkflüsse. Masterarbeit, November 2016. Michael Wegner: Applying maxent-stress graph drawing to protein structure determination. Masterarbeit, Oktober 2016. Raphael Kimmig: Parallel Algorithm Engineering for Subgraph Isomorphism Problems.. Diplomarbeit, September 2016. Maximilian Vogel: Advancing Algorithms and Methodology for Exploratory Network Analysis. Masterarbeit, Juni 2016. Michael Neumann: Verbesserung eines hierarchischen evolutionären Algorithmus mit Anwendungen in der Optimierung und dem maschinellen Lernen. Diplomarbeit, März 2016. V. Henne: Partitionierung von Hypergraphen mit SCLaP. Masterarbeit, April 2015. Paul Skopnik: Tracking of communities in social networks. Bachelorarbeit, laufend. Marius Dörner: Parallel Process Mapping. Bachelorarbeit, laufend. Dominik Kiefer: Fast Dynamic Centrality Updates. Bachelorarbeit, April 2016. Peter Eisenmann: Berechnung kompatibler Pfade in DAGs. Bachelorarbeit, November 2015. Mark Erb: Automatisierte Analyse komplexer Netzwerke. Studienarbeit, Oktober 2015. Lars Gottesbüren: Physical TSP. Bachelorarbeit, September 2015. Sebastian Gieße: (Parallele) Repartitionierung von Graphen. Bachelorarbeit, Januar 2015. Marc Nemes: Extending NetworKit. Bachelorarbeit, Dezember 2014. Gerd Lindner: Complex Network Backbones. Bachelorarbeit, September 2014. Johannes Dreiner: Graphausdünnung mit Anwendungen in der Graphpartitionierung. Studienarbeit, März 2014. Jonathan Dimond: Seed Set Expansion in Static and Streaming Graphs. Studienarbeit, Dezember 2011.